Are canned foods nutritious? 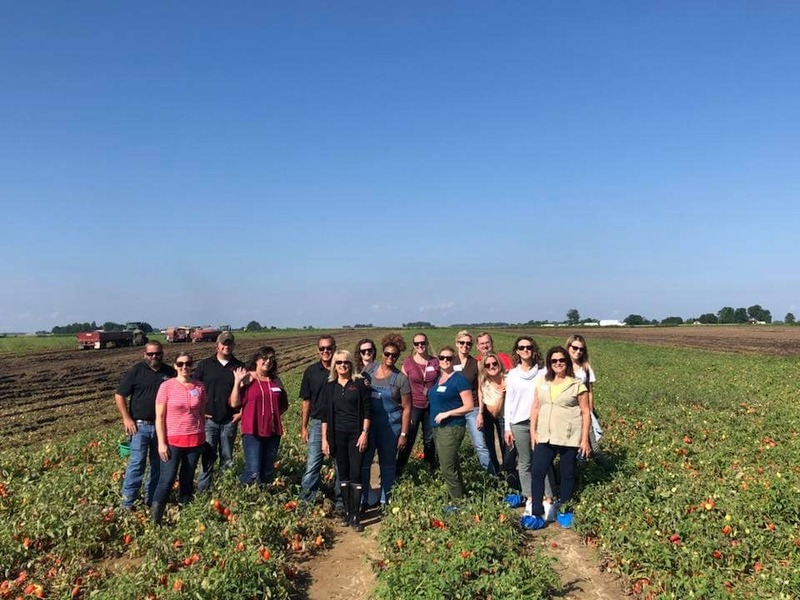 Last week I was able to spend a few days in Indianapolis, Indiana for a special bloggers’ event, Refreshingly Real Farm to Can Tour, where I was able to seek the answer to that question. I saw first hand the process of food going from the farm to the canned product you see at the grocery store. It was amazing to see this process and I learned more than ever; I’m excited to share the details with you! Many people have preconceived notions about canned food, myself included. Getting a chance to see up close the care and love that goes into the canned food process and learn about the nutrition of canned food really opened my eyes. 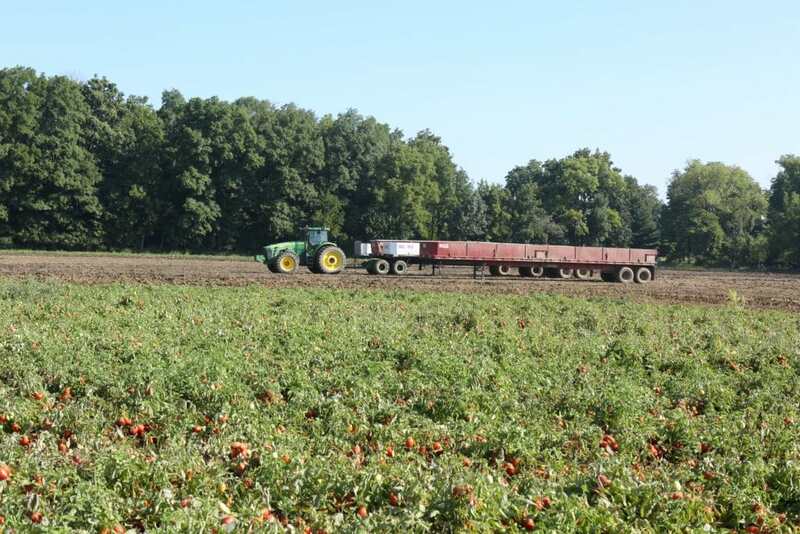 We started out at Triple “S” Smith Farm where tomatoes are grown for Red Gold brand canned tomatoes. This is a family farm and we got to meet the farmers directly. It was really great to talk to them and they were so open and honest, answering all of our many questions. A few of the other bloggers and I had questions about chemical pesticides used since Triple “S” farm is not an organic farm. 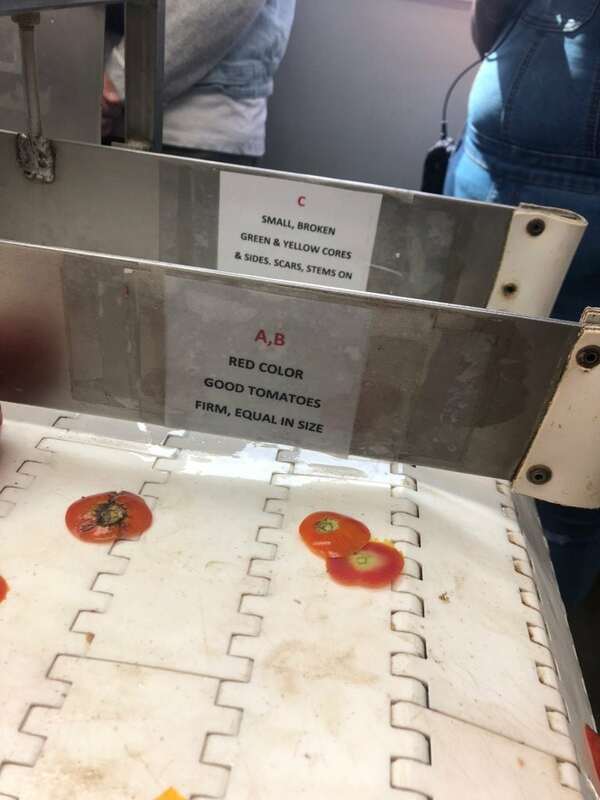 The farmers were open and transparent, telling us the ways they minimize pesticide use and how their testing shows no detectible amount of residue on the tomatoes. My concern was so apparent that they even took the time to bring the printed report to show me at lunch! I can’t speak to every non-organic farm, but I was pleasantly surprised with Triple “S” Smith Farm and how they seek to incorporate sustainable practices while maintaining an acceptable yield. I left with a deeper understanding of how, if all farms were organic, there wouldn’t be enough food to feed the people in our country. Non-organic farms are necessary and in this case they really do care about the safety of the food they are growing as well as the environment. It’s really important and helpful to get to know the farms and farmers behind your food. 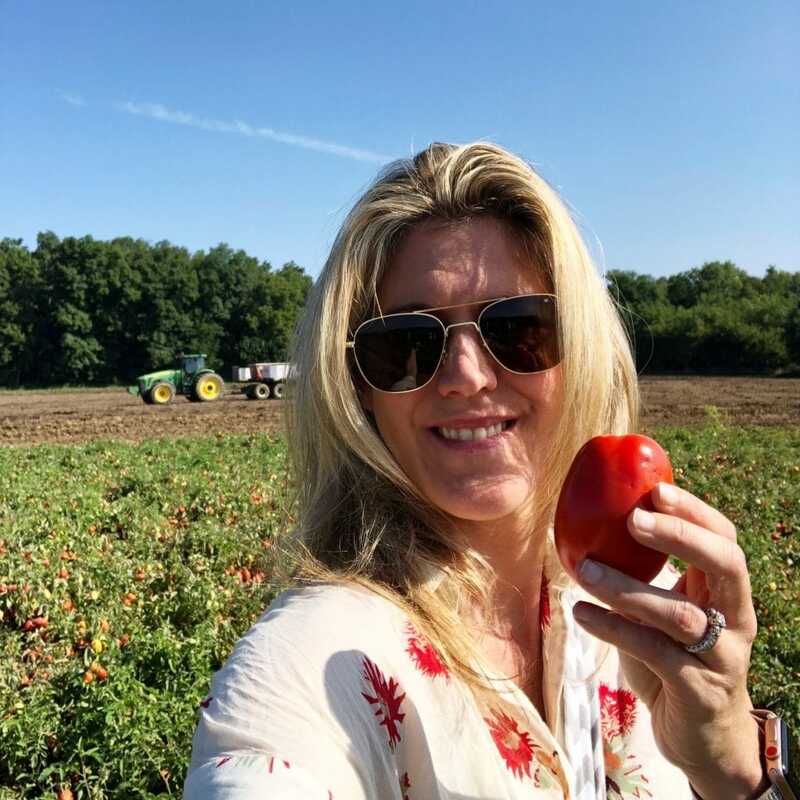 I probably would not have considered buying most conventional tomatoes before this trip, but after listening to Scott and his wife, I feel confident in the safety of the canned tomatoes that come from this farm. 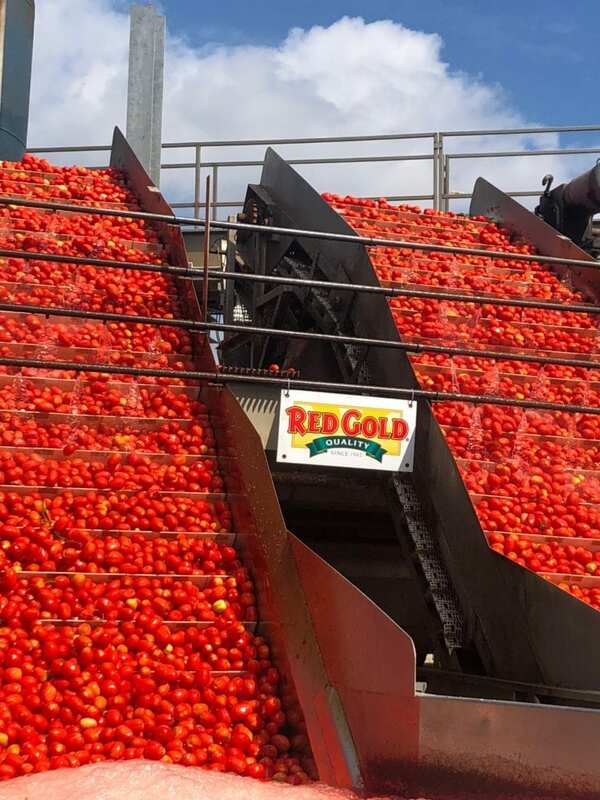 Our next stop was just down the road, the Red Gold processing plant. This is where the tomatoes are delivered and processed into cans. 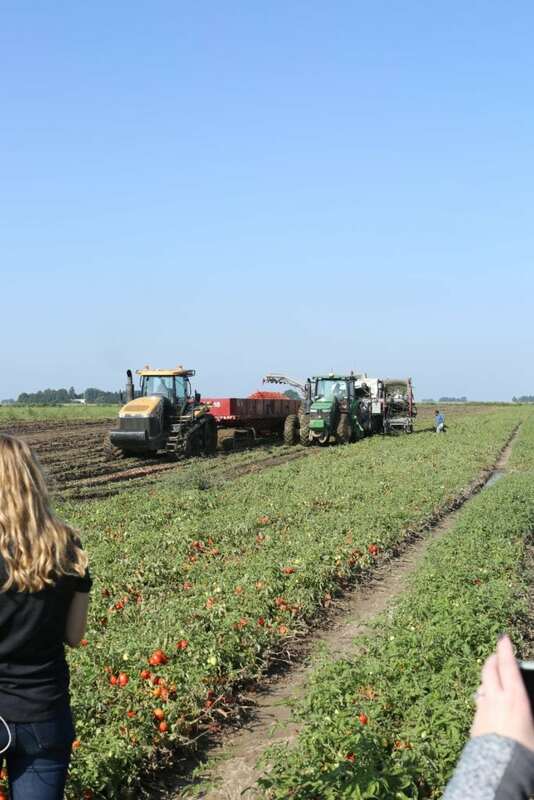 Our bus was directly behind a truck-load of tomatoes so we really did get to witness the journey the tomatoes take from the farm to the can! Do you know how long this process takes? 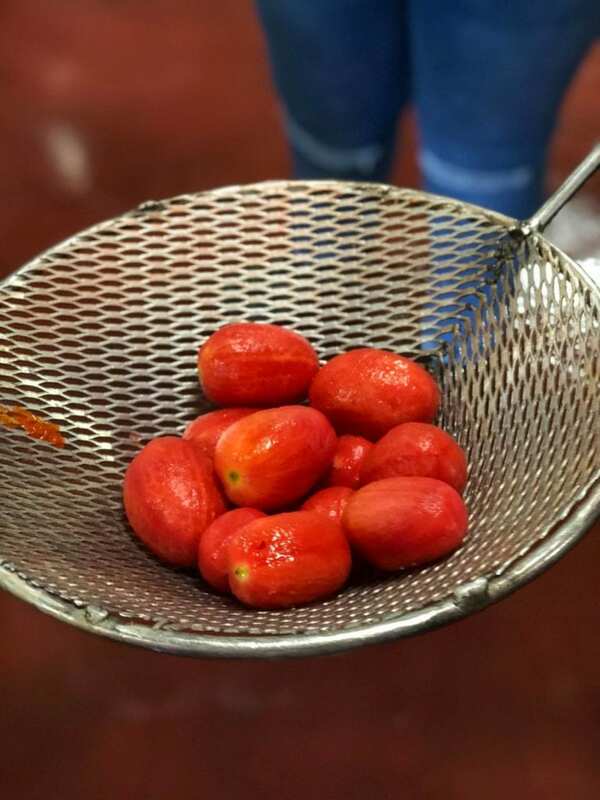 From the time the food is harvested, sent to the canning facility (usually within a few miles), inspected, placed into a can, and labeled is four hours. You read that correctly. It takes just four hours for the food to get from the farm to the can! Unless you are buying all of your produce directly from the farmer’s market all year long, it’s most likely the canned food has retained more nutrients than the fresh produce you buy at the supermarket since it’s canned so quickly after harvest. Much of the fresh produce you buy travels a longer distance and isn’t as fresh. Being on the farm was enlightening, but being at the processing plant was awesome. 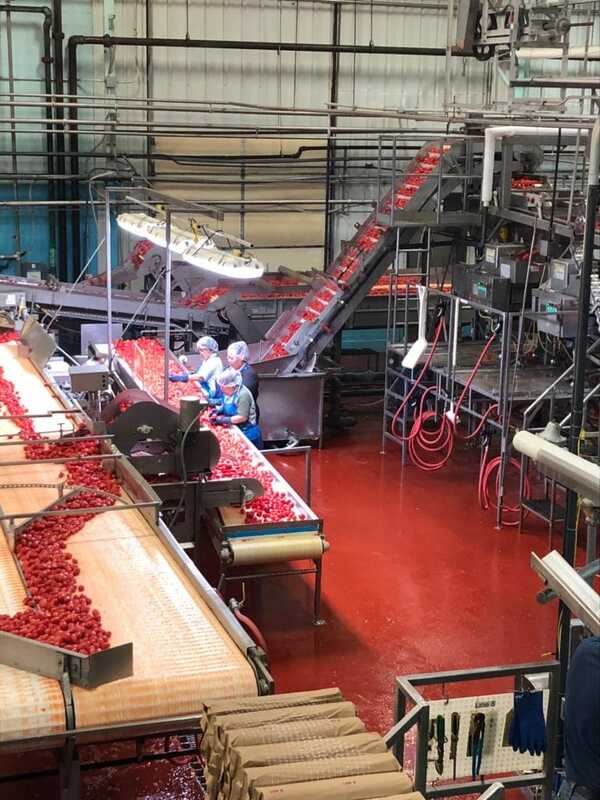 All of the canned tomatoes for the entire year are processed during tomato season, so the sheer volume of tomatoes and cans was astounding. 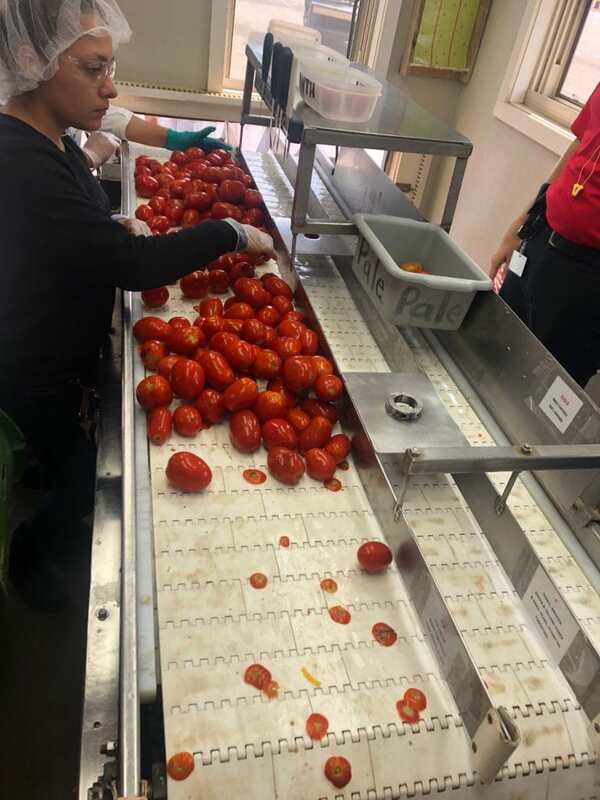 Even though the amount of tomatoes going through this plant daily was insane, the Red Gold workers sorted through every tomato for quality assurance. They looked for bruising, size, and color. See those ends? They were actually cutting off the ends to ensure the insides are the correct color! 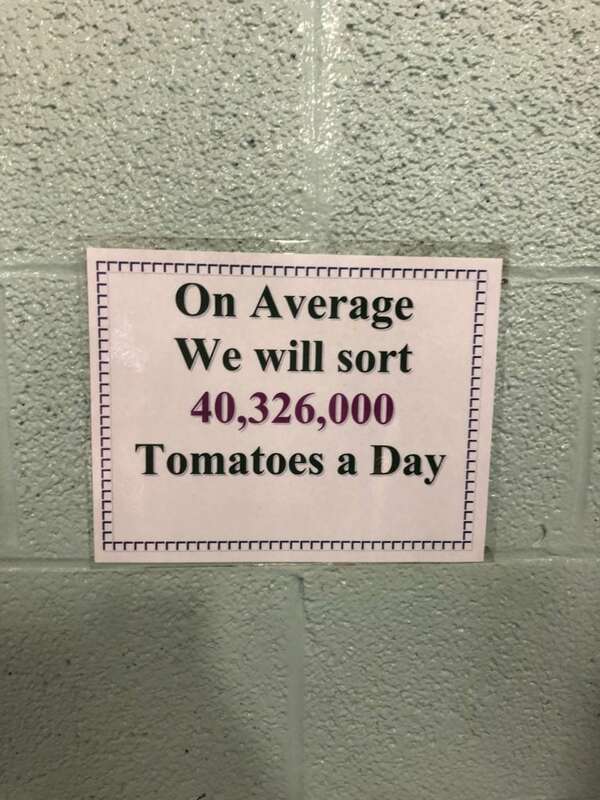 Can you believe that number?! They don’t let a tomato get overlooked. Look at how perfect the peeled, whole tomatoes look before being canned! During this tour I gained a new level of appreciation for our food system. Sure, I can grow, harvest, and can my own food at home, but I much prefer to buy it from the grocery store! The processing plant was efficient and set up for premium safety. 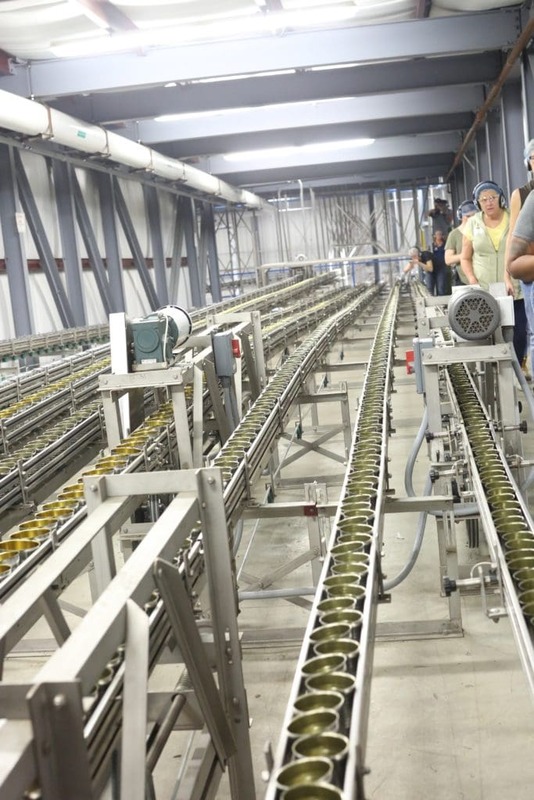 In general, foods are harvested, sent to a canning facility, inspected, and processed into cans in about 4 hours. Canned foods are packed at the peak of harvest, which maximizes nutrition and flavor. The nutrition of some foods are enhanced by the canning process. For example, canned pumpkin is shown to have 540% of the recommended daily intake of vitamin A, while fresh pumpkin has only 26%. Canned tomatoes also contain significantly higher amounts of lycopene than fresh tomatoes. Canned foods can help you eat a bigger variety of fruits and vegetables year round, even when those foods are not in season. Studies have shown that those who incorporate canned foods into their diet eat a larger number of fruits and vegetables daily. 90% of all canned foods now use non-BPA liners. I already have a good number of recipes that utilize canned goods on my site, but you can bet you’ll see more in the future! 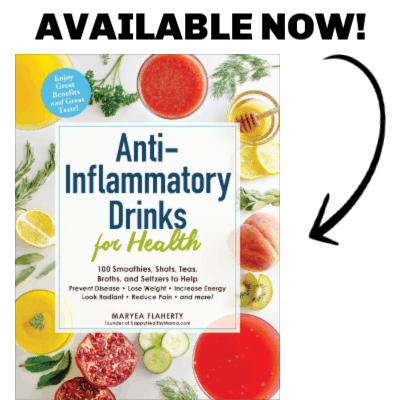 I already knew that canned food was convenient, but knowing the nutritional value is so strong makes me excited to incorporate them into my recipes even more. 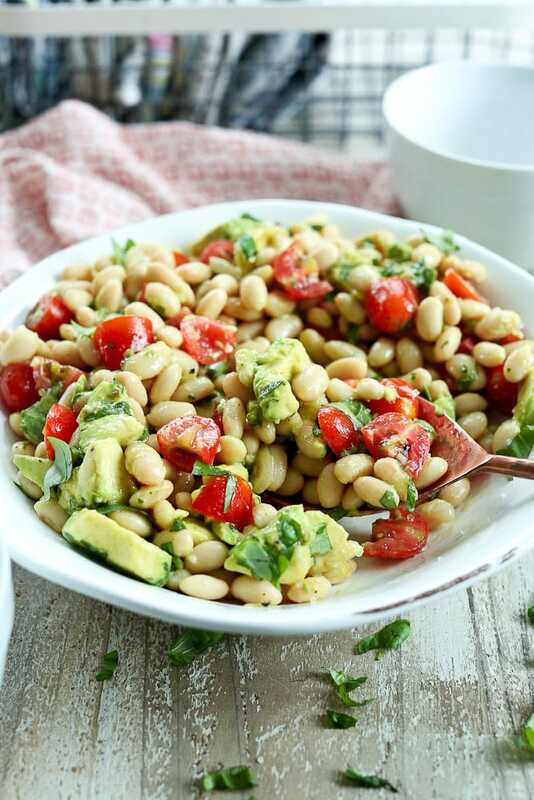 Check out some easy and healthy recipes with canned goods below. 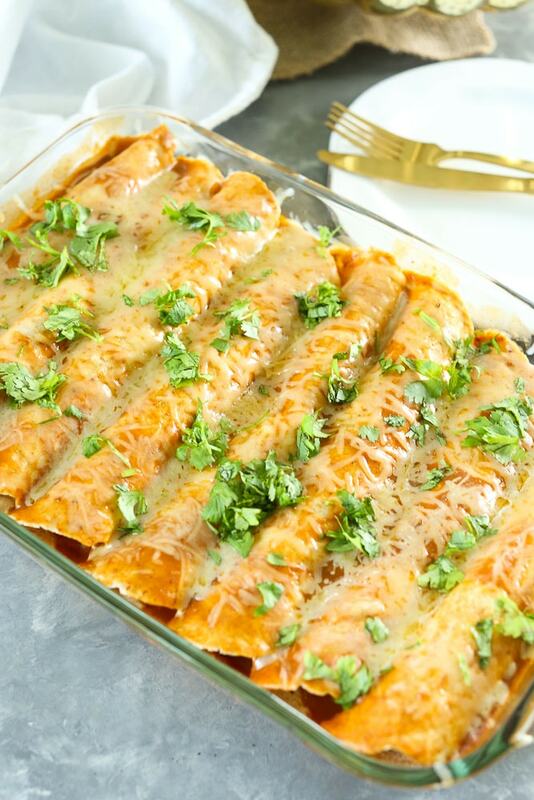 Made this last night and my hubby said they are the best enchiladas he’s ever had! 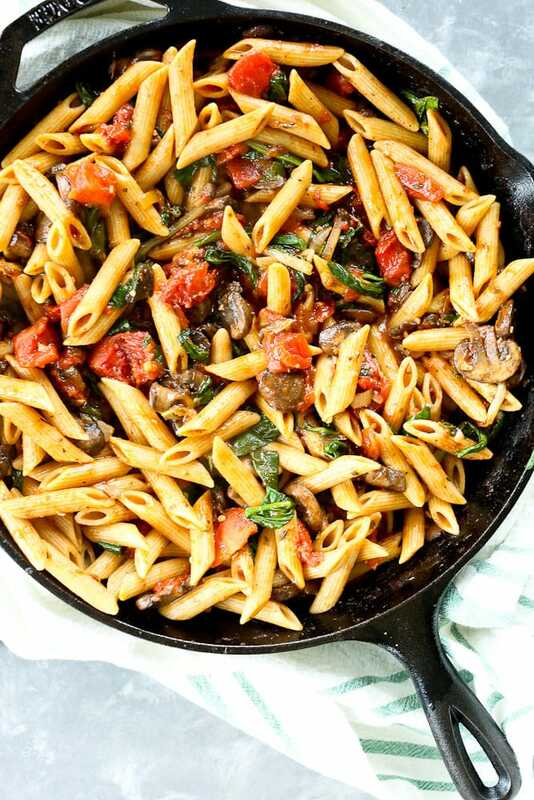 So easy to make and super flavorful. This will be in our regular rotation. I made these two nights ago for dinner, and hands down the best salmon cakes we’ve ever had! 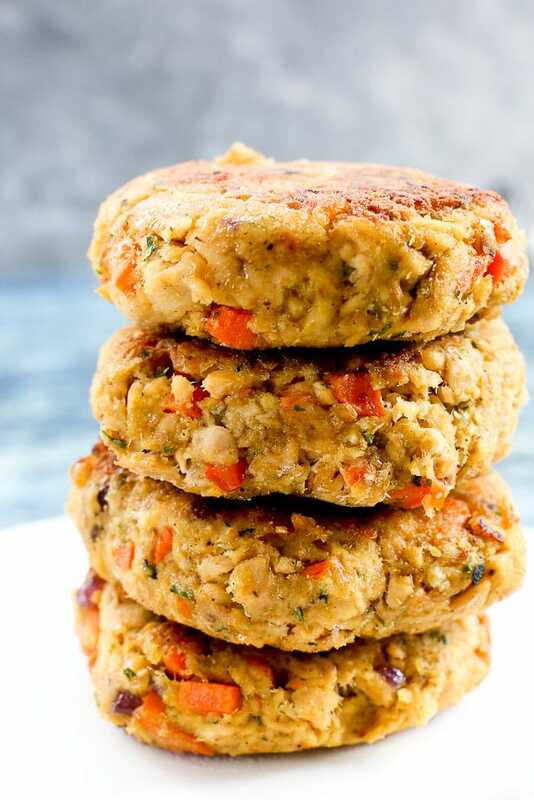 This is our new go to recipe for salmon cakes, absolutely delicious! Thanks for a great recipe! Made this for a baby shower and it was a HIT!!! The ladies had 2 servings each and all asked for the recipe. Yumm! Hi! I absolutely love this recipe. I’ve made it multiple times now. I liked these way more than I expected! I had seen dessert recipes using beans before and wasn’t sold so I don’t know what persuaded me to try this recipe but I’m glad I did. 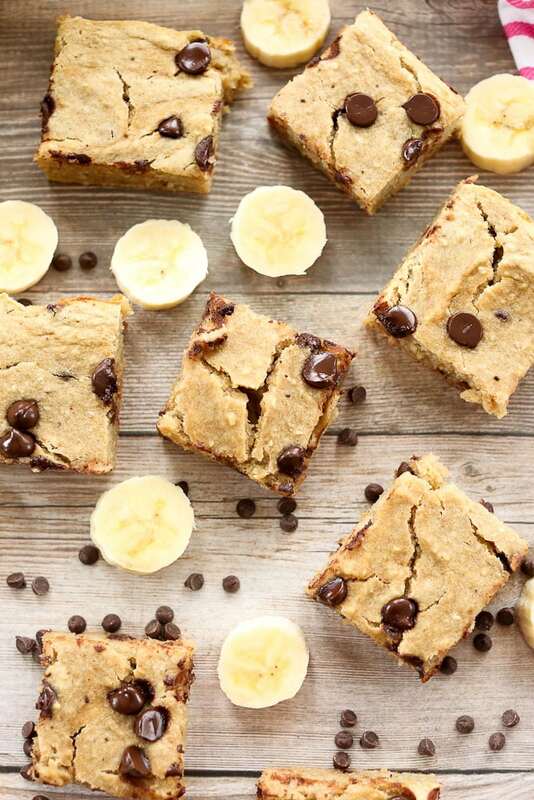 They tasted nothing like beans and the texture was gooey and soft, not rubbery like other banana/oat recipes I’ve made before. My 5 and almost 2 year old liked them and so did my extremely picky husband. I did not tell them there were beans in these and they never knew! I hope you are as motivated and excited to get cooking with canned food as I am. I’m so grateful that Refreshingly Real hosted the Farm to Can Tour and helped broaden my knowledge of canned food. I am now able answer the question, Are canned foods nutritious?, with a confident YES. I like that they are canned within four hours. That is awesome. Also cool they showed you the report during lunch. It’s amazing they do all the canning for the year during tomato season but makes sense since that’s how they are the most fresh and ripe! Sounds like a cool tour. Thanks, Kelli. It was really interesting! The tomatoes look so good.